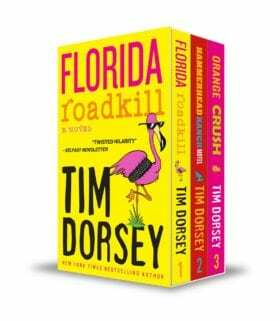 Part spree killer, part local historian, Serge and his human narcotic partner Coleman regularly carve a trail of destruction and marijuana roaches through the state of Florida. This time they’re on a frenzied literary pilgrimage that leads them back to Riviera Beach, the cozy seaside town where the boys spent their formative years. Growing up, Serge was enthralled by the Legend of Riviera Beach, aka Darby, a welder at the port who surfed the local waves like no other, long before the hot spots were hot. But there was also a much murkier legend that made the rounds of the schoolyards from Serge’s youth – of a crazy hermit living in a makeshift jungle compound farther up the mysterious Loxahatchee River than anyone dared to venture. Now Serge is back, with those legends looming larger than ever in the rearview mirror of his memory. As his literary odyssey moves closer and closer to his old stomping grounds, Serge digs into the past as only Serge can. Along the way, he unintentionally disturbs long-forgotten ground, attracting the attention of a cast of villains that only Florida can produce.